There are many reasons why one or more teeth might go missing. Age, tooth decay, and dental trauma are all reasons connected to tooth loss. Dental implants are a restorative dental procedure that replace missing teeth and help those suffering from tooth loss regain a seamless and healthy smile. Located in Airdrie, AB, Nose Creek Dental Centre places and restores dental implants for the benefit of your oral health. Whether you are missing a single tooth or multiple teeth, the dental health professionals at Nose Creek Dental Centre can find the restorative method that is right for you. During dental implant placement, a small hole is created in the jawbone where the titanium implant is placed. Afterward, a healing period takes place where the tissue in the jaw is allowed to fuse with the dental implant – a process called osseointegration. The healing process stabilizes the implant in the jaw, which will create a durable replacement for a tooth’s natural root. Crowns: An artificial tooth that caps a single dental implant and fills in one gap of space in the jaw. Bridges: Two dental implants are placed on either side of a gap with a pontic tooth attached in between. The bridge will replace multiple missing teeth without affecting adjacent teeth. Full denture arches: up to six dental implants are placed in the jaw, which attach to a complete prosthetic denture. 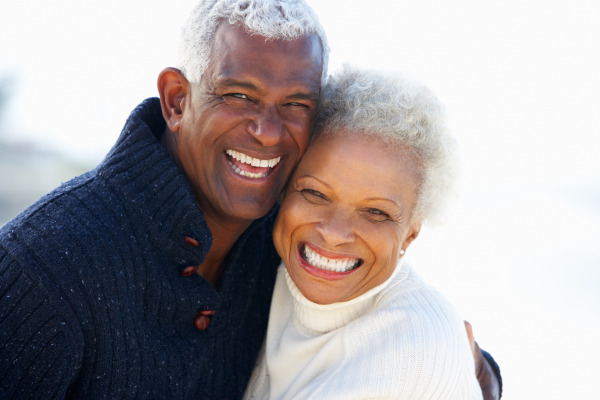 Implant-supported dentures are used to replace most or all missing teeth. The completion of your unique case will depend upon the restoration you receive. However, no matter the implant procedure, you will be left with a full smile that replaces your missing tooth or teeth. At Nose Creek Dental Centre, we assess your medical history and jaw bone density in order to determine whether dental implants are right for you. Generally, those in good health can receive dental implants, but when teeth go missing, the jaw bone can begin to atrophy, making implants less likely to integrate successfully. In order to perform the best treatment for your oral health needs, a pre-operative treatment may be necessary and we will refer you to the appropriate specialist. If you would like more information about dental implants, or to find out whether dental implants are right for you, contact Nose Creek Dental Centre and schedule an appointment with us in Airdrie!